from the cover: "When a Sacramento attorney commits suicide-and Kat Colorado (private eye) finds a video suggesting he's been blackmailed-she's determined to identify the extortionist." BCID number (958-5036734) - to be mailed on June 8th. 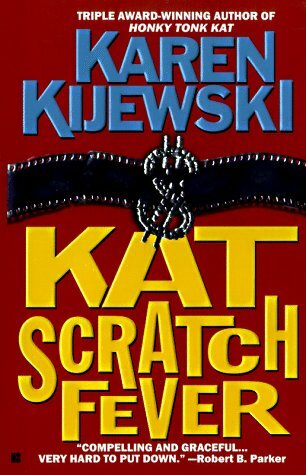 This was the first book I've read in the Kat Colorado series and I hope to read more. She's a tough private investigator and this plot was pretty realistic. She figured things out through logic and legwork, not luck like some other fictional detectives. There were some characters that I could tell were from previous books, but she didn't really explain who they were, just assumed the readers would know it seemed. Well maybe I'll try to read them in order from now on. Also I wasn't sure what the title had to do with the story? Overall a good plot, set at Christmas time. I took this out of the Holiday Mystery Bookbox. It looks good. Great mystery! Will definitely read more by this author. Released tonight at the meet-up held at the Rhizome Cafe at 317 E. Broadway in Vancouver. Enjoy!